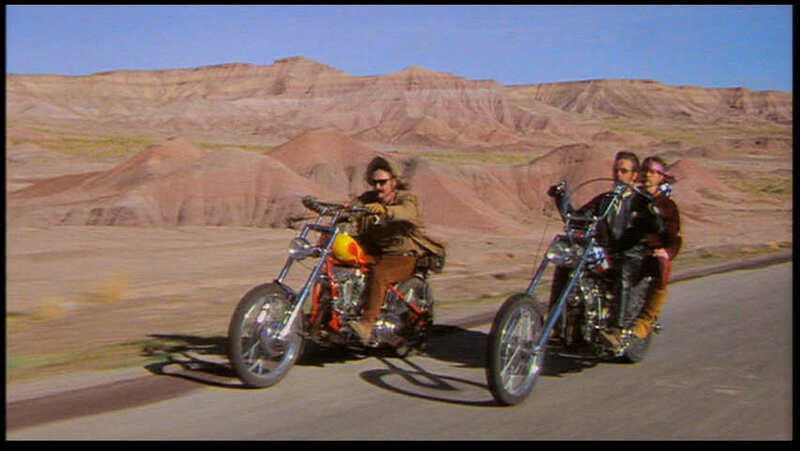 I didn't expect to like Easy Rider (1969). I'm not sure why. Maybe it, like MASH, represents a shift in film making toward intentionally meaningful movies. Not that previous movies weren't meaningful (with intent), but the meaning often seemed to come out of the material whose first goal was to entertain. If you think about books, there are ones that tell a great story but also make you think, and there are non-fiction that set out to make you think, and finally there are fiction that set out to make you think under the guise of a story. As Mark says in the wonderful Edward Eager children's book Half Magic, "it's being made to learn things not on purpose". I suppose this is a subjective appraisal of movies, and quite probably untrue and unfair. Maybe it has more to do with the films getting closer to what I remember as a kid. Or is it...? I was five when Easy Rider came out. It wouldn't influence me directly. But it would influence my parents, and the world around me, and also the kinds of movies and television I'd see years later. As I move through the sixties and into the seventies, I get uncomfortably closer to myself. Is it a compliment to Easy Rider that I felt compelled to write the above paragraphs, to be self-reflective? I think so. 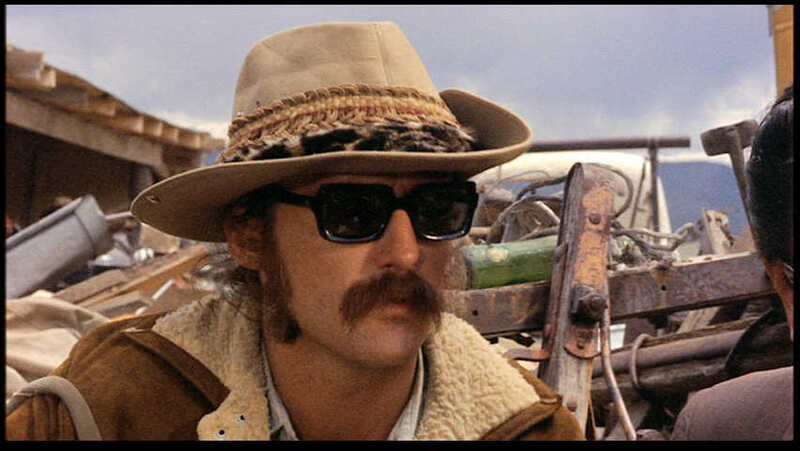 It's an excellent film, mostly filmed in standard ways, but with appropriate use of a couple of unusual techniques, especially directory (and star) Dennis Hopper's unnerving scene transitions, mocking the simple dissolve. Like Rebel Without a Cause, in which Hopper had a small role, Easy Rider focuses on the outcast minority. Like many movies that hit me close to home, it shows that people who are "normal" are often deathly afraid of those who are "different". The outsiders may be peaceful, just trying to enjoy life their own way. That is, they're not hurting anyone just because of their differences, anymore than someone who is left handed (or black, or gay) hurts others just because of their differences. It's the others who perceive a threat to their own idea of how life is supposed to be. If they accept these people--who are "wrong"--then their own survival is at stake. And that's why people who claim moral and social normalcy will be cruel, persecute, imprison, kill, etc. 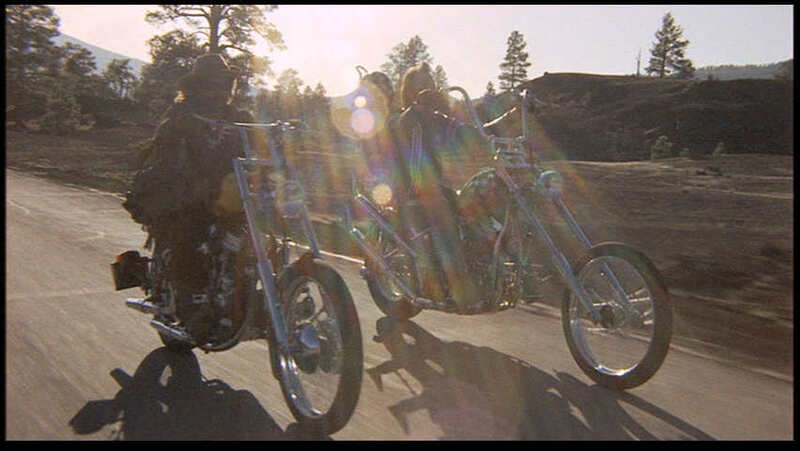 Easy Rider is also, like many other of the films I've most enjoyed from the AFI Top 100, a clear period piece that captures memories of how people and places looked. It isn't an artist's conception (though it isn't a documentary), but is how it was. Have you ever listened to the soundtrack to the musical Hair? There are two versions. One is from the original 60s Broadway cast, the other from the 1979 film. No offense to the fine actors and director of the film, but comparing the two recordings is like seeing the Mona Lisa, and seeing a caricature of the Mona Lisa. The original recording sounds authentic because it was authentic. 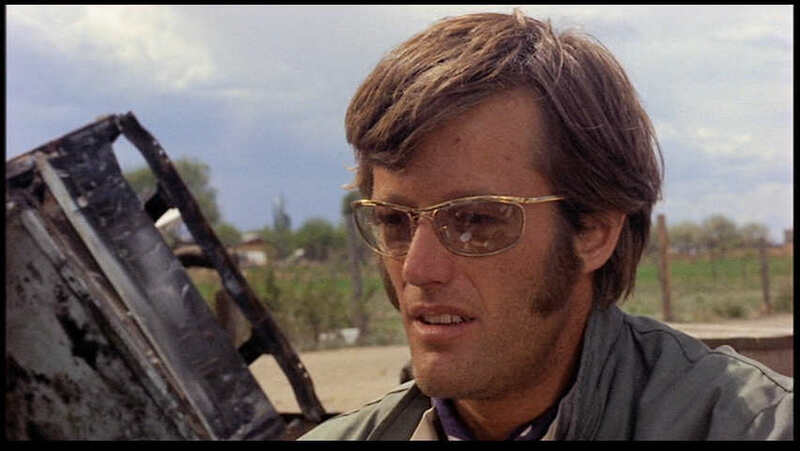 In any case...watch Easy Rider. 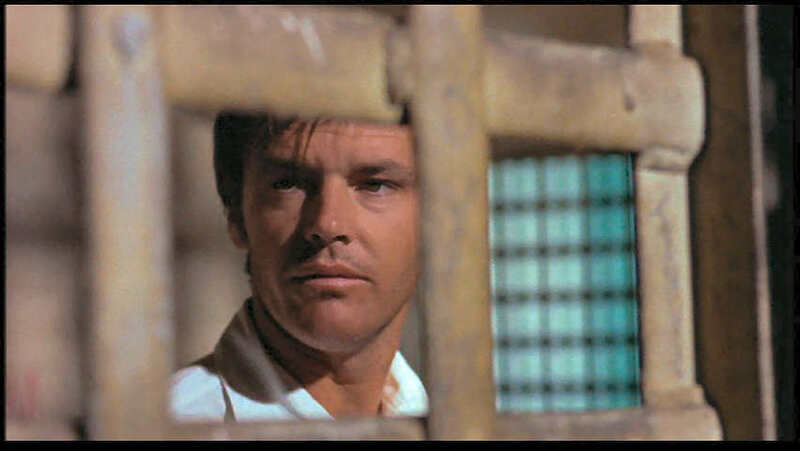 Jack Nicholson, in a relatively small--but crucial--role.